tBoW rocks with Springsteen/Seger, Kirkland changeover and a wine winner from Virginia!! It is the plain trooth. A golfer recently told me “Costco has the best wine selection in the country”. All things considered – golfers know putters, not wine – it is hard to challenge this observation. Take Bob Seger and Bruce Springsteen. In a recent Vanity Fair article Bob Dylan says “many folks think Seger is the poor man’s Springsteen. I say Springsteen is the rich man’s Seger”. [ed. Sounds more authentic if you hold your nose while speaking.] Costco is no Hi Time but then Springsteen sold many more albums than Detroit’s favorite son (along with the Ig as in Iggy Pop and Alice Cooper). Dylan settles things by admitting “I love them both”. and Night Moves if you want to catch the rarified discriminating vibe. “Workin’ on mysteries without any clues”. This is the point isn’t it? You can always find a Springsteen CD in a SecondSpin bin but finding vintage Seger is a bit tougher. What does that have to with wine? Dotor√© has earned the respect of his family and friends as a wine snob such that he is tasked with finding the right wines (this always means U20s) for a Kansas City wedding. A quick run through the KC Internet directory of fine wine stores pulled up some home pages more suited to the wine department at Ross Dress for Less. The go-to store in KC is a liquor store that you can be sure is the name that falls off the tip of everyone’s tongue when asked who has the best wine store in town. Like Brooosss the Boss. Not an inspiring selection but hard to argue against given the widespread belief. In fact the local KC liquor emporium did not list any French wines. Or Italians or Spanish. Argentina? Let me be Frank. Shirley you’re kidding. We did find a party planner with a palate who probably has a tiny local following of wannabe but tooscaredtabe polygamists. At least she had a decent wine list that didn’t look like a BevMo 2-for-1 clearance. Then it hit me. Kirkland. Buy the freaking wine at Costco, Dotor√©. I hope people don’t have some kind of misplaced attitude about Costco being low class. As Beastie Boys Mike D once said…”let me clear my throat”. Back to the trooth. The new wine buyer at Costco has a more adventurous palate than the former gal. I see all kinds of wines in the Costco bins that look interesting to me. Along with the usual uninteresting retread Napa trophies (BV & Silverado), Aussie Syrahs (oh, I mean shiraz) I saw a Kiwi white (but no pinot…of course we aren’t really sure there are any worth buying), some interesting Rhones from the 2005 vintage, a Spanish Grenache Ros√© ($24, however, is not competitive in this sector), and two Argentina Malbecs from the right regions…and at the right prices. There are even more online. 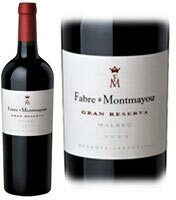 2005 Fabre Montmayou Malbec Gran Reserva $18: A bargain steal go-get-some Gold Medal winner in a nationwide Malbec competition. This is a great example of how Costco is moving to the head of the U20 class. Elegant and high-toned. What does that mean? It means the wine holds together well. The flavors are not too extreme, the tannins actually contribute to the flavor profile without overwhelming, the weight is just right neither heavy and overbearing or porous like tissue. Here is somebody else’s review (why not?). A magnificent Malbec! It picked up a trophy at the inaugural Wines of Argentina Awards held in Mendoza in 2007, having wowed the international panel of judges – included among them wine expert Jancis Robinson, who gave it an impressive 17 out of 20. This mulberry and spice-flavoured red wine was made by Herv√© Fabre, who was originally involved in the Bordeaux wine trade, before he and his wife fell in love with Argentina and moved there to establish a boutique winery. Herv√©’s experience in producing top quality wines shines through in this tremendously rich, silky-smooth wine. Ripe blackberry and bramble aromas merge seamlessly with spicy oak and vanilla flavours. Full bodied, yet seriously smooth and warming. This 89 Parker point wine is sure to survive for many years to come. Definitely a wine to enjoy with fine food … try it with rare roast beef or a juicy steak. 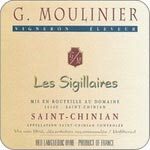 2001 Mouliniere Les Sigillaires St. Chinian $9: Picked from the wall of bargains at Woodland Hills Wine Company. At 7 years this wine has to be peaking if not even entering a long snooze. St. Chinian is one of the longer lived appelations in Languedoc. Most likely a Syrah and Grenache blend. Very nice if soft out of the bottle. Tannins have slipped out the back door. 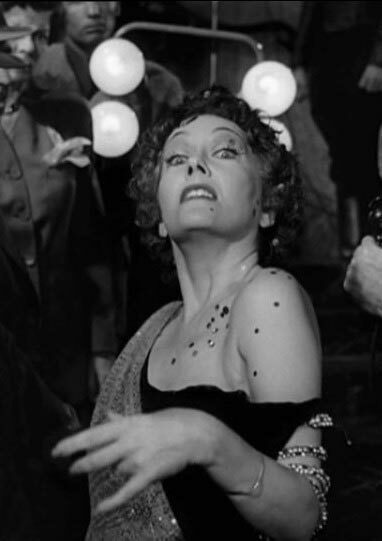 This wine is ready as Norma Desmond for her next blockbuster. Unlike the femme fatale of another era this St. Chinian is simply happy to have one last shot at applause. It gets mine. Veramar Vineyards Rooster Red $17: Jim Bogaty of Veramar VIneyards in Virgina’s beautiful Shenandoah Valley tips his hat to good old fashioned Dago Red [ed. PC apologies to those offended by tBoW’s use of a crude name for fine old world style wine.]. If only those old style wines were this good. Rooster Red is one of those unusual and pleasant Proustian experiences. As I drink this little gem I vaguely recall every Italian table red I ever tasted…except this one is much better than any of the others ever were. Sweeti-ish, balanced, Chianti-style. Excellent job!